Uploading progress pictures in the app is not automatically synchronized to the cloud server in order to protect the privacy and confidentiality of our members. Thus, we have a developed a feature that will allow our users to choose which progress pictures they want to share with the JEFIT community. Here is how uploading progress pictures in the app can easily be done through the app successfully. You are able to upload progress pictures taken with your phone’s camera and upload them to your online profile for your account. First of all, open the app then go to your “profile page” and access your “progress pictures”. Then click on the button with an arrow pointing upwards or the “Upload” icon. 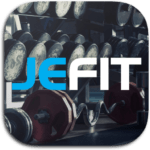 JEFIT will take the list of progress pictures currently stored within your application. Then it will allow you to decide on which ones that you would like to upload into your online profile. Make sure to click only the pictures you would like to upload to the web or as a backup. Finally, click on the upload button. Opening the application you will click on the main slider navigation and select the “Progress Pictures” tab. Click on the button with an arrow pointing upwards above a rectangular line underneath it or the “Upload” icon. Then, JEFIT will take the list of progress pictures currently stored within your application. It will allow you to decide on which ones that you would like to upload into your online profile. Click on the checkboxes to select which checkboxes you would like to upload. Once the picture is synchronized, your pictures can be viewed online at www.jefit.com. Creating a backup copy online is not necessary but can be helpful especially when there is a need for you to uninstall the app.